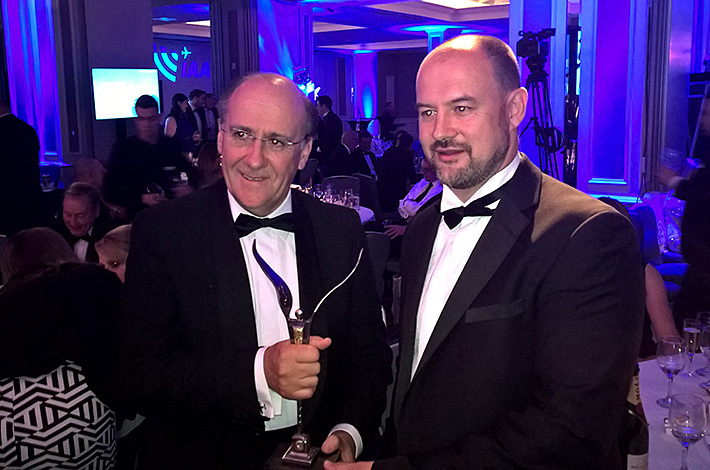 Air Contractors has been named the ‘Aircraft Operator of the Year’ at the Irish Aviation Authority sponsored Irish Aviation Awards. The award was presented at a gala awards event in Dublin and Air Contractors won the prestigious accolade against very strong competition from major Irish and international top brand airlines. In making the award the judges recognised the many significant achievements by Air Contractors in 2014, including the launch of B757 transatlantic services for Aer Lingus, seasonal summer B737 flying for Ryanair and the resumption of European flights for Afriqiyah Airways with A320s. All were achieved while the airline continued to offer the highest standards of service to its express integrator and tour operator customers. The award was presented by the Irish Minister for Transport, Mr Paschal Donohoe T.D. and accepted by Mr Hugh Flynn, Chief Executive, ASL Aviation Group, Mr Colin Grant, Chief Executive, Air Contractors and Mr John Rawl, Chief Operating Officer, Air Contractors.